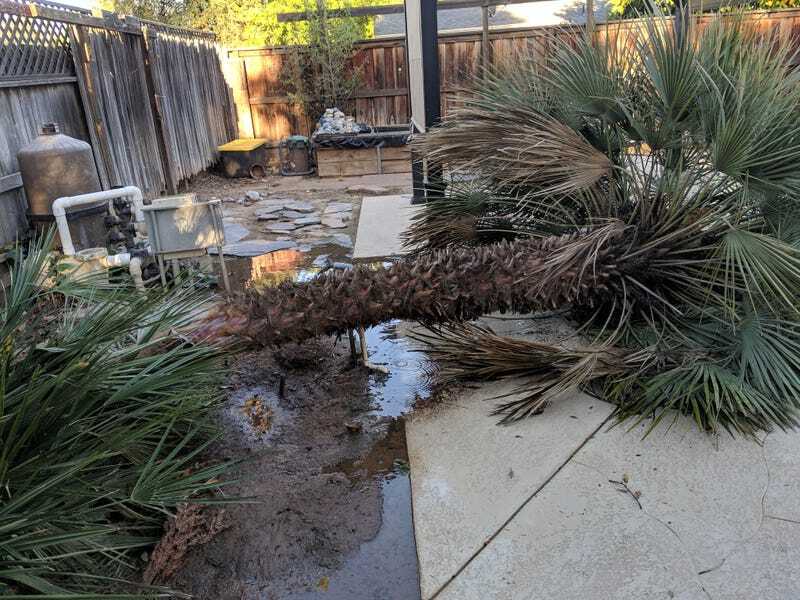 Wind blew a palm tree over, where it hit a water spigot and broke the pipe. Plumber on the way. I had a bad vehicle shopping experience. I went to look at motorcycles, and was overwhelmed by the choices, and could not even remotely get a handle on what kind of bike I might like to own. It was discouraging. I also realized that after exclusively riding twist and go scooters for the last 3 or 4 years, I have no confidence in my skills on a full size, manual transmission motorcycle. I am not sure I even trust myself for a test ride. This is a problem. A part of me says it would all come back to me, but the other part points put that I have never bee more than a novice on a bike. My wife suggested that I take the CHP class again with her, because she wants to take it. I feel a little bummed out about the whole thing. Weird malaise today. Tomorrow will be better. Leg day at the trainer, so I get to suffer, so that will distract me tomorrow morning.